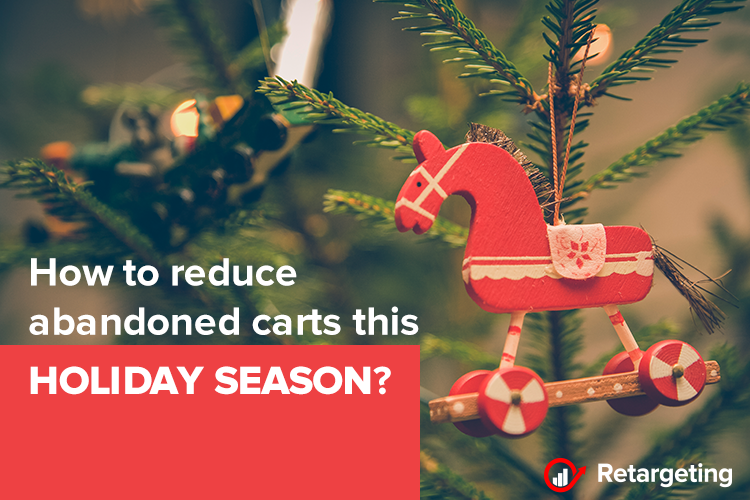 The holiday shopping season is already here, and if there’s one thing that will happen for sure is that a majority of shoppers will abandon their carts this year. But does it really have to be this way? Every year, online sellers complain that shoppers put products in their carts and some even go to the checkout page. But, for some reason, those shoppers exit the e-shop before finishing the orders, some never to return. It’s time to stop this trend of abandoned carts. Here are the latest trends and tactics you can use to ensure clients complete their purchases as we head into the New Year. The year of smartphone shopping! This holiday season we will see an influx of people doing their shopping on their smartphones. In fact, a little more than half of all smartphone and tablet users plan to purchase gifts using their mobile devices. While this means that people can shop on the go, unfortunately, it also means that cart abandonment will be on the rise. Studies show that abandoned carts on smartphones is as high as 85%. On desktops, you can expect a lower number, about 70% of buyers might not finish an order. That amounts to $4.6 trillion of not purchased merchandise. Of those shoppers that do tend to abandon their shopping carts, some will return all on their own to eventually follow through, others will leave and never return. However, some of those who left can be made to come back with a few well-timed and well-written emails. Before you write an email and send it off, it’s important to understand why shopping cart abandonment occurs. Most abandonments occur because of costs related to the purchase price, shipping, taxes, or other fees. Mandating that customers create an account, an overly complicated checkout process, unclear costs, and a website that malfunctions are just some of the reasons people abandon carts at the last minute. Other reasons can include a distrust of using credit cards online; the fact that there were too few payment options or the customer’s credit card just got declined. You have a very short window of opportunity to reach a shopper after the cart has been abandoned. Brands that do use emails should send their messages within three hours, 24 hours max. Emails should be sent out immediately, not three days later. Marketing automation has been shown to drive sales and can help you identify those customers that may have left some unfinished business behind. Asking why the person abandoned the cart is one way to entice someone to come back. Another is to show them the names and images of the products they left behind, which is what 85% of brands are doing. Seeing the products may reinvigorate the customer’s motivation. About 67% of brands are also sending names and images of related products. You never know when this tactic can create a few impulse buys that double or triple the original abandoned cart total. Also, 26% of online marketers are using seasonal imagery and language in their emails to entice clients to return. This is especially useful during the holiday season when people are in the mood to stay on the couch with their tablets or laptops and shop for everyone on their list. Evoking a little holiday spirit might just be the trick to put customers back into the shopping mood. Video, the future of content marketing!